Time Period: 1940’s, early 1950’s + bonus 1991. MSRP: 24.95 single version. 59.95 for the 7 DVD package deal set. This show is contained as a bonus disc in The Steam Special 7 Pak, as pictured. The DVD is also available as an individual release. The discs in the set have artwork. Green Frog has a classic ‘big steam’ highlight show here. Huge articulated locomotives are the featured subject materiel. A quality production house, Green Frog has plenty of vintage films for this program. They have some additional modern, fantrip footage to round things out. 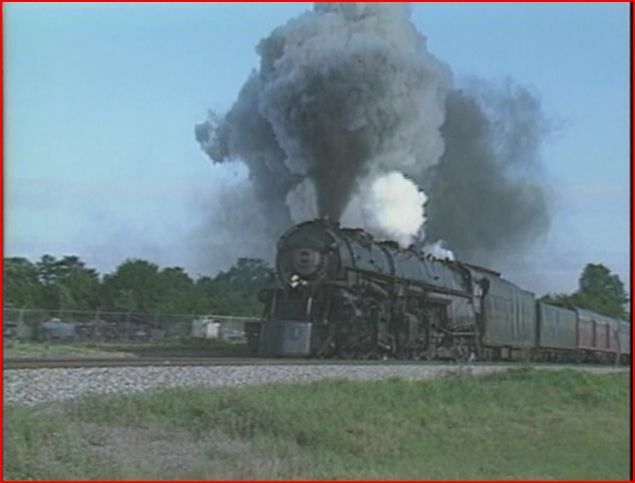 There are numerous shots of steam led trains, in service, back in the 1940′s and 1950′s. 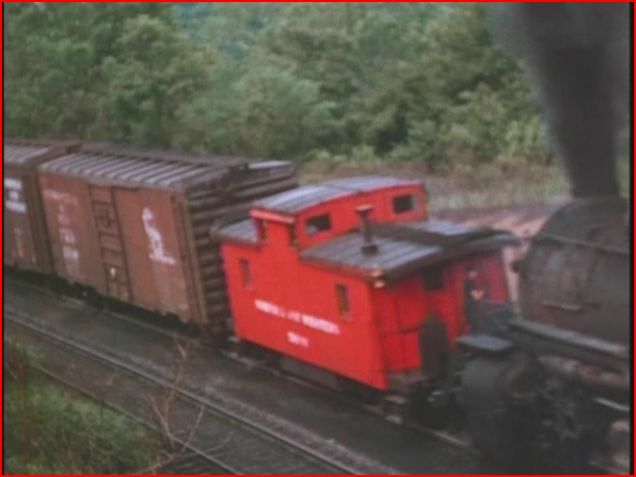 I enjoy viewing the steam era freight cars as well. This is a compilation train video. Some, or perhaps all of the footage may appear in other Green Frog programs. As a bonus disc in the set, it doesn’t really matter. Fun to watch, even with overlap film. 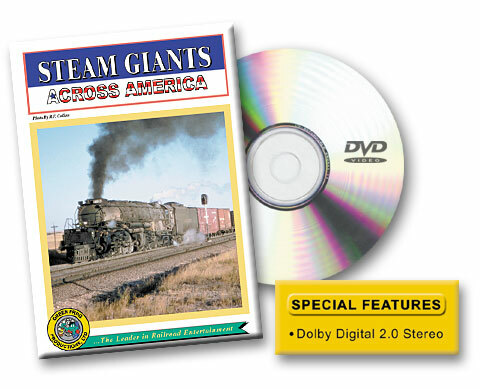 Steam Giants Across America was released in 1996. The DVD is digitally mastered, and edited. No chapter menu or maps on this show. The maps aren’t important on a compilation like this one. The steamers are the subject, not the railroads. Stereo sound. 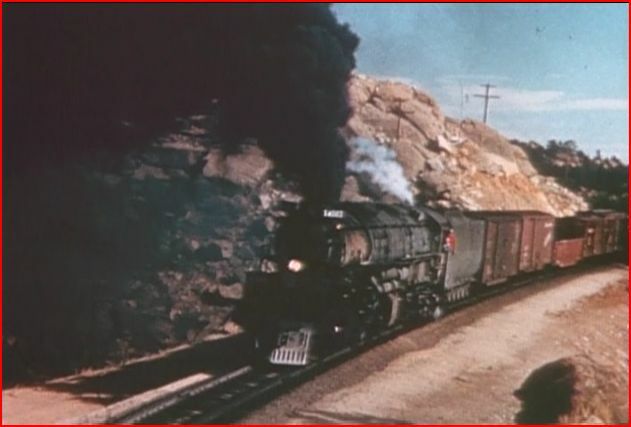 Jerry Carson filmed the Norfolk & Western locomotive service area at Roanoke. Great color footage, and plenty of mainline action. A multitude of class A Mallets are shown. The huge articulateds are in mountain service. 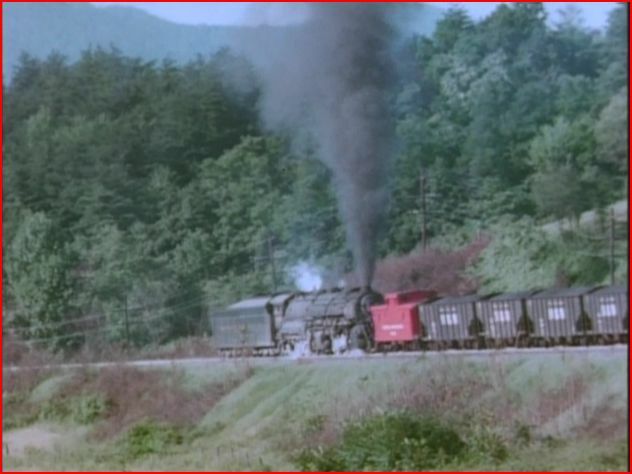 They are seen, shoving hard on the rear of trains , doubleheading the front or both! 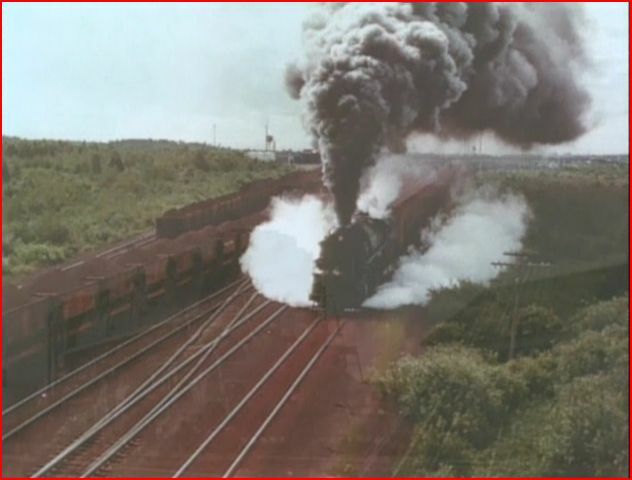 The 100 car coal trains are something to witness. Some class J locos are included. The long segment closes, with a parade of articulated powered trains, across Virginia and West Virginia. This chapter is a movie within the movie. 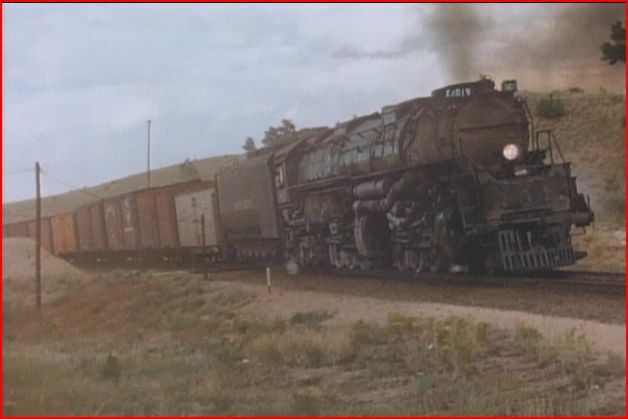 Duluth, Missabe & Iron Range, featured the massive Yellowstone 2-8-8-4 locomotives. These behemoths, pulled long strings of ore cars to the docks at Lake Superior. The big yard is at Proctor, Minnesota. 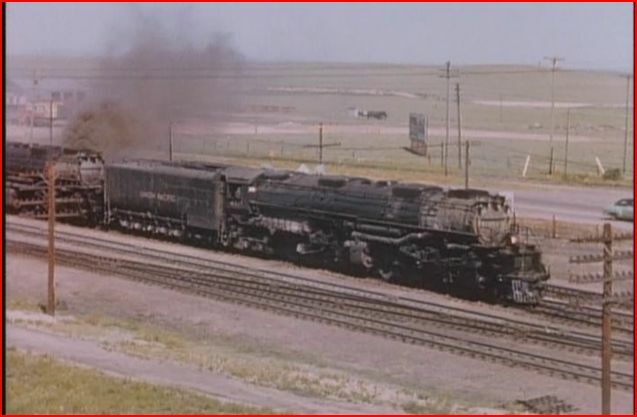 Union Pacific has to be ‘the mother of the biggest steam’. Plenty of Big Boys are on display, pulling freight, in the western United States. Challengers are up next in action. Cheyenne shops are a steam lover’s dream, albeit a brief one. Logging railroads are represented by Rayonier. 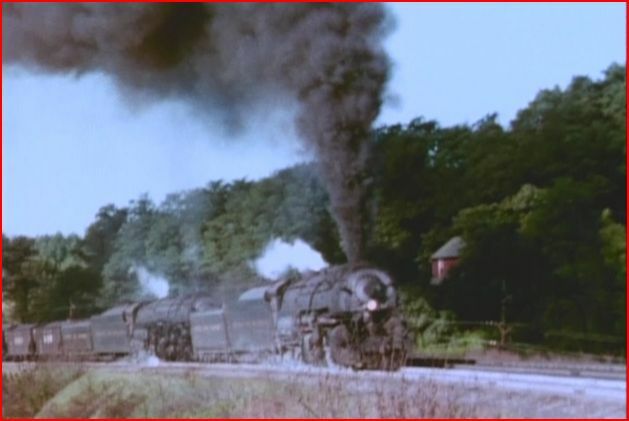 Engine #38, a 2-6-6-2, is dramatically filmed on the logging line. Grays Harbor, Washington area and Camp 14. 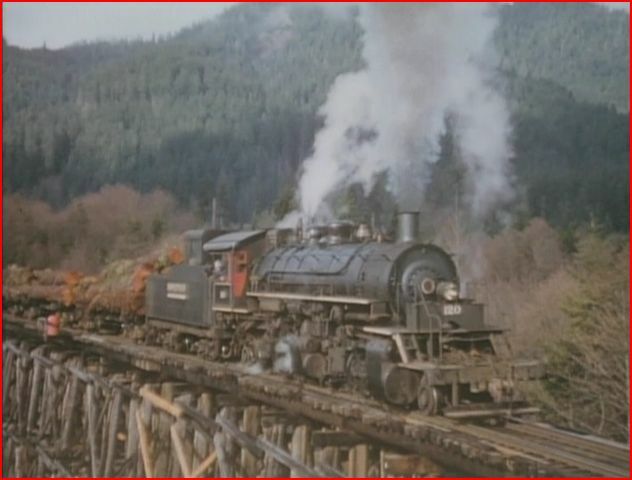 Engine 120 is memorable, as it crosses an old wooden trestle. Space age Norfolk Southern hosts a contemporary fantrip outing for N&W 1218 in Florida and Georgia. This portion is edited from the show ’1218′. Good stuff. Railfair ’91 attracted Union Pacific 3985 and 844 doubleheaded to the fair. 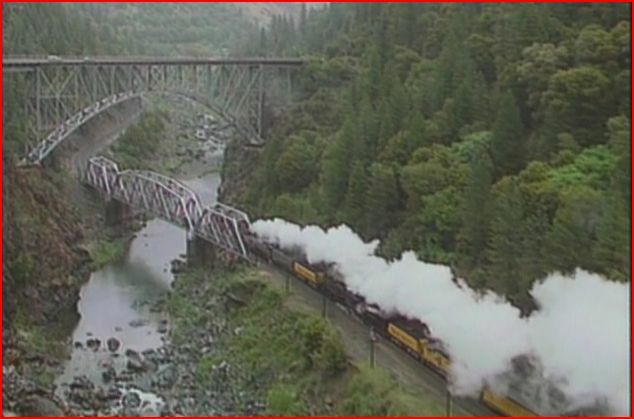 Much more action, with some spectacular scenery, as in Feather River Canyon. As usual, the Frog provides a smooth, coherent script. The narration is balanced. Steam sounds and big band ‘steam era’ music, enhance the presentation. Film quality is excellent throughout. Not every scene has perfect light, but remember the era. The stereo sound it is excellent. A fine, well-paced program for any viewer. 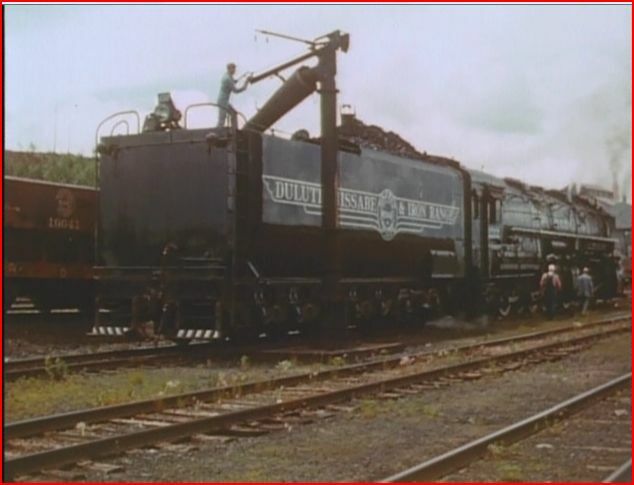 A compilation, it is an excellent study in articulated steam power. Youngsters will really enjoy the sights and sounds in this show. This will please just about everyone. A great choice for family viewing. Naturally, any rail enthusiast, including model railroaders will want this release. The 7 DVD package deal, is another excellent option. Very enjoyable! 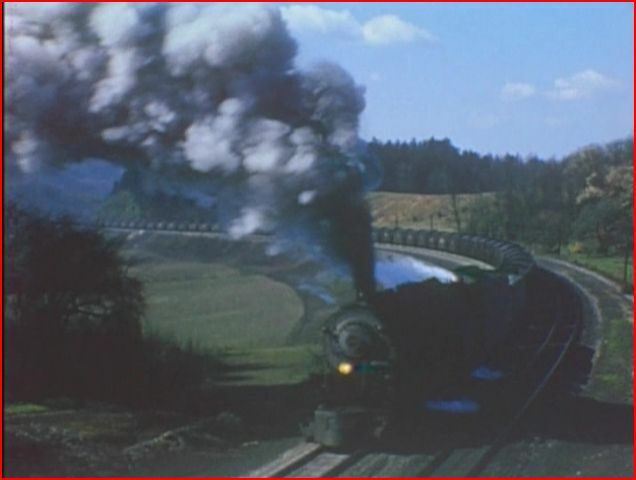 This entry was posted in ATVR Reviews, Green Frog Prod., Steam Train Reviews and tagged American Train Video Reviews, Emery Gulash, Norfolk & Western, Railroad, steam train, Train DVD, Union Pacific by William J. Hudson. Bookmark the permalink.